If your family’s school year has ended early, you might be thinking about getting an early start on your summer travel plans. 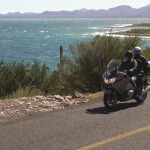 If you are heading to Baja, you can pull details together before you leave by selecting Mexico insurance online. Last-minute adjustments are easy with an online Mexican insurance online if you have any changes to your travel dates. Some of the heaviest travel times of the summer in Baja can be from late June through early August. Not only are tourists making their pilgrimages to their favorite spots, but many service groups are heading south during this time to complete work and community outreach projects. The early part of June is great for avoiding the greatest concentrations of tourists. Your Mexico insurance for travel should be active for the duration of your time in Baja, but if you live in an area that is close enough for repeat trips, you might want to consider a more long-term Mexican insurance online policy. This will allow for at-will trips without the need to repeat the process of selecting and purchasing Mexico insurance for travel. Long-term Mexican insurance online coverage is economically sensible if you will spend at least three weeks in the country over the course of the summer or year. Your planning for a short trip at the beginning of summer may be minimal. You can typically find accommodations in both big cities and small towns as you go. Although Baja tourism has increased in recent years after economic challenges, the majority of Baja travel involves trips to Rosarito and northern communities. Tourist activity may be a welcome economic influence as you move beyond the tourist corridor. Remember that you are expected to obtain a tourist permit at the border if you will travel beyond Ensenada. You also need a permit if you plan to be in the country for more than 72 hours. A tourist permit is typically valid for six months, allowing you to make repeat trips later in the summer or year. You also now need a valid Mexican insurance online policy. Although you may never have to show your permit or Mexico insurance for travel, you should have them easily accessible. Baja has been the adventurous destination for travelers and many things can be discovered in every corner. It’s an overwhelming destination of tourists’ choice. Car owners know that they should go there with Mexico insurance – for compliance with Mexico law. For early Baja vacation, buy your Mexican insurance. Gray whales are spotted from Baja sea and shore. This site entices thousands of visitors and whale lovers, too. The right season for watersports in Baja is during summer time. To be an early Baja vacationer, purchase your Mexican auto insurance now. There’s actually no bad time to go to Mexico for vacation. But certain times can become more appealing to tourists and some destinations are more favorable times of the year. Preparing your Mexican auto insurance ahead of time is very important. While many people think that Mexico has hot weather, in reality it has broad range of climate zones. The sea-level weather becomes warm to hot most of the time—perfect for the year-round beach weather. Mexican insurance is needed for your trip. Summer months could be the peak season for coastal area summertime activities. Baja offers vineyard tours, fishing, eating and a lot more. Only one thing is necessary: drive with your Mexico insurance. Summertime makes the perfect season of the year to enjoy fun and vacation. With tons of activities during summer, you can always find one that fits your performance. Fishing and swimming make the perfect combination.